Sass Rogando Sasot's first post about a leaked OVP email, followed by my article, “#OustDuterte: Inside Leni Robredo's international propaganda machinery”, is what launched the #LeniLeaks scandal. Since then, the #LeniLeaks scandal has gotten so big, it took on a life of its own. Administration officials have issued various warnings to various oppositionists. Oppositionists have issued various denials and alibis. And as for netizens... Ugh, where do I even start? I think that after five days of nonstop bickering, it's time to put things back into perspective. Why? Because almost everybody is talking about the wrong issue, almost everybody is attacking a strawman. The #LeniLeaks issue started with Sass Rogando Sasot's discovery of a forwarded email published in the Global Filipino Diaspora Council (GFDC) Yahoo! group message board. In the GFDC board message, former Commission on Filipinos Overseas (CFO) chair Imelda “Mely” Nicolas published an email from a certain “Pete Silva”, an email that contained instructions from the OVP. I am sorry to burst the bubble of conspiracy theorists, but the GFDC is NOT some clandestine organization, as it has been mentioned several times in news articles and press releases in the past. In 2014, the Commission on Filipinos Overseas described GFDC as “the first global network of overseas Filipinos from 25 countries [CFO],” and the said organization has been visible in mainstream news for a long time [Star, ABS]. Yes, GFDC is an established worldwide network of overseas Filipinos, a network led by several people who happen to wield a disproportionate amount of influence given their economic, social, and political backgrounds, several people who staunchly support the oppositionist Liberal Party, and who staunchly criticize the administration. Now, let me clarify two things. I used the term “disproportionate influence” because GFDC's anti-Administration, pro-Leni, anti-Marcos leaders, who happen to be filthy rich or incredibly powerful or both (e.g. Loida Nicolas-Lewis), claim to be the voice of overseas Filipinos[MB] at large, even if they are not. For one, Duterte and losing VP candidate Marcos overwhelmingly won in the May 2016 Overseas Voting. Marcos, in fact, got almost twice as many votes as Robredo [Inq]. So who does GDFC represent? Apparently, GDFC's board's own interests. And how many members does the GFDC board have? Sixty-two. Criticizing the administration is a perfectly legitimate exercise of free speech. My issue, however, is what GFDC leaders can do if their statements fall on deaf ears. You see, unlike the vast majority of Filipinos, GFDC leaders have the influence and finances to make things happen. I think this is best described through an analogy: imagine you have a gossipmonger neighbor who's spreading a particularly disparaging rumor about you. That is exactly the point why I TANGENTIALLY discussed the #OustDuterte issue. The problem, however, is that National Media – and even the government – decided to focus on the ouster issue at large instead of the central topic, which is a the VP undermining the government through a propaganda machinery that, at least partially, benefits from public funds. Yes, the central issue is the existence of a well-oiled, well-funded, well-organized propaganda machinery, led by no less than the Office of the Vice-president. And where did we discover its existence? The Leaked OVP email. And for those who don't read a lot, #LeniLeaks is a portmanteau of “Leni Robredo”, our alleged vice-president, and “Wikileaks”, a (in)famous whistleblower site. And this issue is what the Office of the Vice-president continually evades, similar to how single women evade issues like unwanted pregnancies. But how did the email imply the existence of a “propaganda machinery”? Well, let's look at the email first. Pete Silva's email, as forwarded by Mely Nicolas and supposedly from the Office of the Vice-president's social media arm, contains a set of detailed instructions on how to do damage control in the aftermath of the #NasaanSiLeni controversy, i.e. the PR nightmare that followed VP Leni Robredo's decision to go on a US vacation despite having known that a super typhoon was about to hit her hometown. A post with identical content also exists on the Facebook page “EDUCATORS FOR LENI ROBREDO” [FB]. Now, what does this email mean? The OVP itself actively instructs its supporters on how to deal with anti-Leni criticisms. The OVP is not above disparaging the national government and even private persons, just to save its own neck, in light of the statements, “We need to call out the national government on this, and take the offensive against their camp for having a simplistic view of the problem.” and “Sandro is stupid.”). 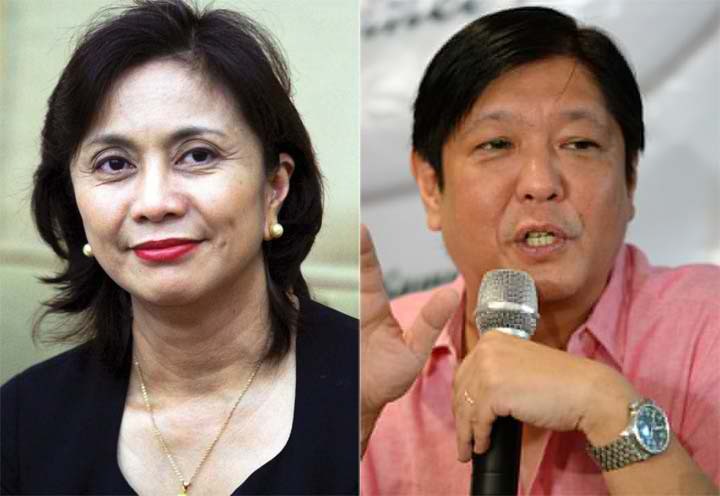 The OVP's use of irrelevant and pathetic alibis, such as setting the expectation that losing VP candidate Bongbong Marcos has some sort of legal responsibility to do the same things required from the OVP. The OVP has this notion their social media critics' supposed inability to set up relief efforts somehow puts OVP and its critics on equal footing. The list goes on and on, and I think this can best be discussed in a follow-up article. Regardless, I believe that it's clear at this point that #LeniLeaks primarily focuses on the suggestion that OVP possesses a well-organized, well-funded black propaganda machinery, something that the OVP has failed to deny so far. The existence of the first element – the propaganda leader – is already clear after the leaked email: it's the Office of the Vice-president. Even if there are other propaganda leaders, what's clear is that Vice-president Leni Robredo, who operates using public funds, is one of them. The second element, however, remains to be shown, and that is where the rest of the Global Filipino Diaspora Council Yahoo! Group board messages come in. As explained in a previous article, GFDC is a group whose members are highly influential, considerably wealthy, or both. I am not exactly sure if GFDC is the OVP's sole “propaganda disseminator”, but I am certain that it is one. The anti-Duterte media blitzes of the past several weeks? GFDC has a hand in that. The November 30 anti-burial rally? GFDC also has a hand in that. And they even want to use the Marcos Burial Issue as a springboard for bigger anti-duterte demonstrations. But what if GFDC doesn't get what they want? Will they just go home and cry, or will they use their vast resources to shift the tides? And that is why I called upon the help of Malacanang to investigate this possible angle. Again, an ouster plot is possible, but not certain, and that's why the National Security Council needs to look into it. What's far more certain, however, is corruption in the Office of the Vice-president, as it appears to be using people on public payroll to manage an anti-government propaganda machine. Oh! And OVP Spokesperson Georgina Hernandez admitted the group's existence when she said, "The so-called leaked information came from a public Yahoo group account which means that there is transparency in this information [Star]." FIRST: If GFDC Yahoo groups were supposed to be transparent, then why is the GFDC message board hidden now? The #LeniLeaks scandal seem to have caught the OVP by surprise. OVP was so unprepared that it had no time to coordinate PR damage control messaging with its stakeholders. SECOND: Does Hernandez' admission also mean that the OVP intended the Pete Silva email for public consumption? I do not think so, as that would imply stupidity of intergalactic proportions on the VP's part. The OVP telling its followers to call Sandro Marcos “bobo”? That goes totally contrary to LP's attempt at turning Leni into Our Lady of Naga. This bears repeating: #LeniLeaks focuses on corruption in the OVP, with a potential ouster plot on the side. laws governing public accountability of government officials, especially since I predict that VP Leni will disown the unethical actions of her social media employees, similar to how Mar Roxas and Noynoy Aquino threw command responsibility out of the window after the Mamasapano Debacle. As for the ouster plot, I'll leave that to the National Security Council. Yes, a case of sedition against GFDC is weak, but the fact remains that the emails suggests a tendency of GFDC members, with all their money and influence, to go that route.